I’ve been hooked on this skincare line since being introduced to it. I have already praised their products in my previous beauty posts and now I’ll fully disclose the range responsible for my glowing skin – it’s Skin Virtue Pure Nourish! 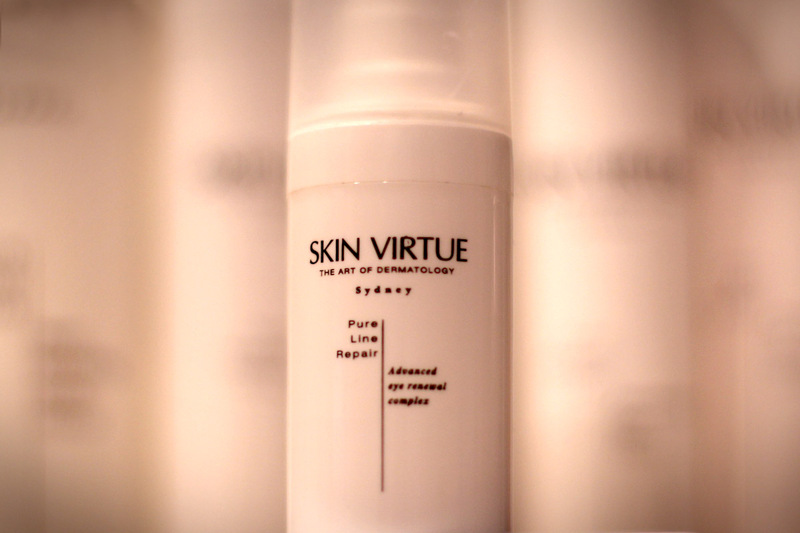 Skin Virtue is new Australian beauty brand whose products are developed in Italy. They are designed for busy, multi-tasking women so of course, when offered to test the range, I happily agreed. After the 2nd week of using this range I started noticing visible improvements and by the 4th week I was happy with my reflection in the mirror. Everybody who has children will understand me – dark circles and dull skin are inevitable when you become a mum because the arrival of a child means the departure of your sleep. Now, after 2 months I’m blogging about this range as I thought it worth sharing with you lovelies. Visible improvement after 2 weeks – smoother and more radiant skin. Yes, general skintone and texture were improved. Re: circles under eyes, they are still here. However, there is no cream in the world that could erase a constant lack of sleep (not even my secret weapon Chanel helps my panda eyes anymore). I noticed softening of fine lines around eyes and some lifting effect though. Texture (creams). Absorbs well and doesn’t leave any greasy feel. Smells nice too. The exfoliator does something unbelievable to your skin. Noticeably younger after each use. More about the exfoliator read here. The cleanser is perfect for those who have dry skin. It is now my Number one of all cleansers I’ve tried. 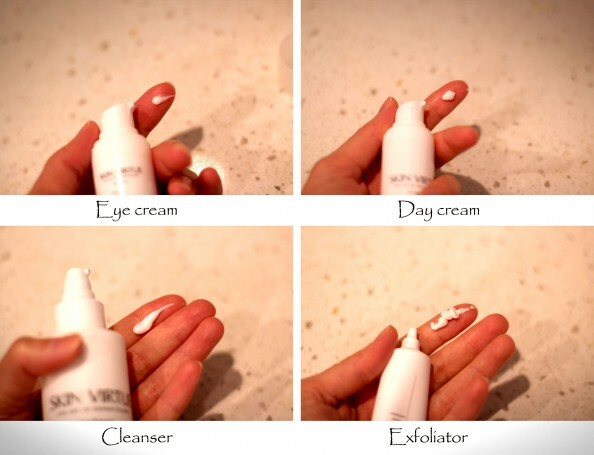 More about the cleanser read here. The packaging. All products are in convenient squeeze containers which is great not only for economy (you can’t accidentally extract more product than you need) but also hygiene. 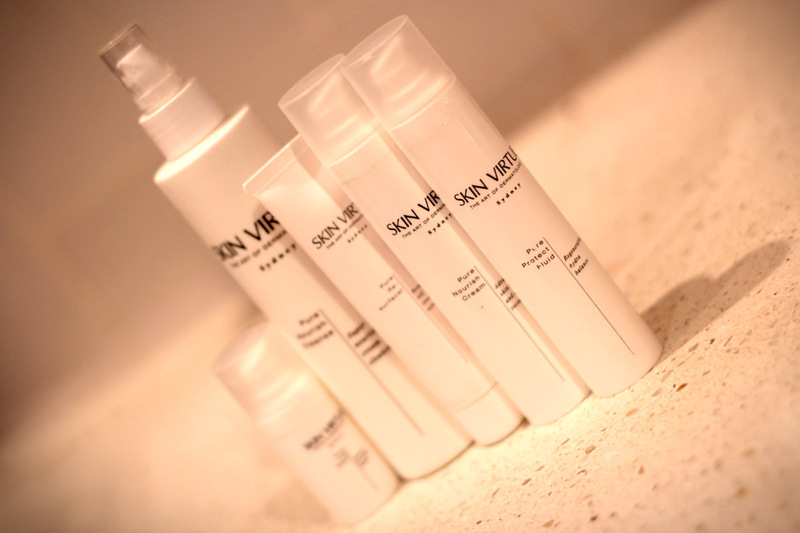 The bottles are also light which makes them perfect for traveling (no more 2 kg of beauty products in your luggage). Finally, its safe for little children. What a strange quality to outline, you may say. Well, it becomes important when you have a little curious bub crawling around all the time. So proven by personal experience: these bottles can be dropped, bitten, rolled and they survive. As I have very dry skin, the night cream was not sufficient to cover my skin needs in moisture so I started using Clarins Vital Light serum in conjunction with Pure Nourish. The effect was immediate and positive. So if anyone aims for maximum results (smoother skin) you have to add a serum. Cleanser and Exfoliator – you have to apply them on dry face to work their best. I don’t know why but that’s how it works. Have a Fabulous Friday, lovelies!! !